Come join us for the wonderful game of Mah Jongg! It's a fun, challenging game with a long history. All levels of play are welcome. We meet the 2nd and 4th Wednesday of each month, September through May, at different member’s homes from 1-4pm. The current year "Official Standard Hands and Rules of the National Mah Jongg League, Inc." will need to be ordered ahead of time from their website: www.nationalmahjonggleague.org. The cost is $8. 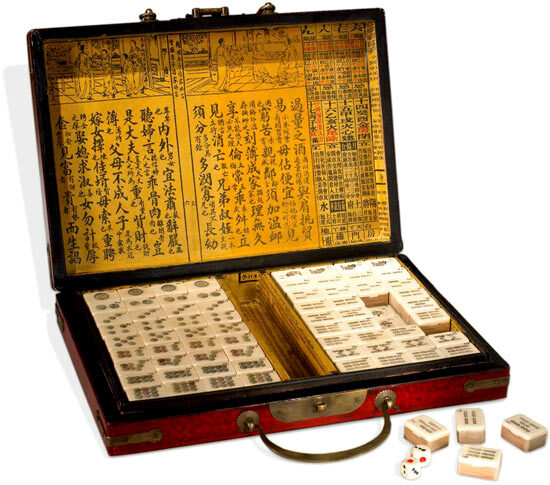 Also, to gain the greatest benefit, new participants may want to order the National Mah Jongg League's instruction book, titled "Mah Jongg Made Easy" ($10.95), which will enhance their learning of the game. for more information please contact Linda Thompson.